A compilation of books recommended by Dr. Lyons-Weiler. Enjoy. Thimerosal: Let the Science Speak (Kennedy, editor). 2015. Skyhorse Publishing. Rating: ***** (5/5 stars) Excellent, deeply researched and thoroughly referenced review of the science clearly demonstrating the neurotoxicity of ethyl mercury. Audience: Scientists who think they know that thimerosal is safe. Key Insight: Ethyl mercury is actually retained in organs, including the brain longer than methyl mercury. Past understanding of clearance studies were misleading. Rating: ***** (5/5 stars) Simply the most important book written on bioethics, and biomedical research ethics, ever. Audience: Everyone. A MUST-READ for anyone who repeats the party line that “vaccines do not cause autism”. Key Insights: Thompson reveals, in quite plain language, how ubiquitous and pervasive the corruption of vaccine safety studies involving autism has been at the US CDC. Grounds for removal of vaccine safety research from the purview and charter of the US CDC. Key Insights: Anne Daschel takes on the media for abdicating their responsibility to remain objective. Describing what she calls “The Big Lie”, she includes insights from experienced experts who have been looking at the problem of the increase in autism rates. Daschel’s unrelenting focus smashes the issues like a freight train through tissue paper. Key Insight: Ten people died of whooping cough in California in 2010, and its’ the fault of the thousands of parents who witnessed their children regress into autism after vaccination. Let’s shame them into silence. Audience: Anyone who has read any of the three books listed above. When you then read Offit’s book, you will find it to be shallow, devoid of references to the current literature. Offit relies on information on aluminum neurotoxicity from a study in 1978 (not cited). He is woefully inadequately informed on the reality of aluminum neurotoxicity, and the book is a waste of time for real information. However, the comparison of the depth of information in his book to the other books on this list is well worth making. 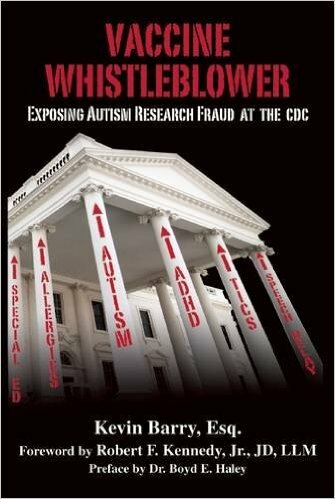 Get this book and find out how limited and agenda-drive this so-called “expert” truly is. Maybe it will be updated after a little assigned homework. If you’re an author and believe your book belongs on my list, send me a review copy. I cannot guarantee a review in any specific timeframe. I’d be happy to send you a review copy of Dr Humphries’ book, if you could email me your address.